Looking for a new wine to try? Check out our European Delight wine tasting! Join us in the store from 5pm to 8pm on Thursday, December 6 and try out a few in our selection! The legendary wines of Château de Brézé were served in many royal courts in Europe in the 1600s. In 2009, the château’s new owner began converting these historical vineyards to organic culture. Today, Château de Brézé wines remain brilliantly produced and the Cremant de Loire is no exception. Made using the champagne method this wine is a dazzler. It is crisp, dry, mineraly and aromatic – everything you want in an elegant sparkling wine! 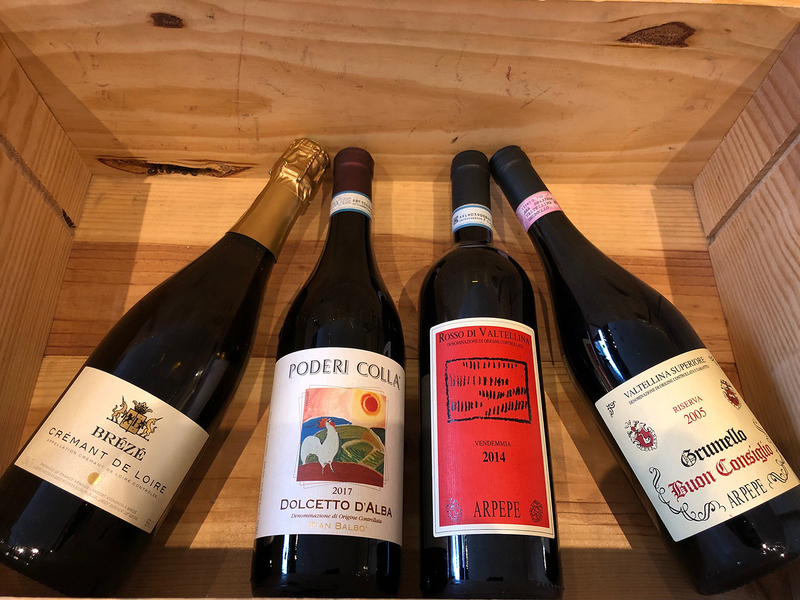 Pair the Poderi Colla Pian Balbo with homemade lasagna for a match made in heaven! Made with Dolcetto grapes from the Piedemont region of Italy, this is an approachable wine with fruity flavors and fine tannins. The wine offers aromas of cherry, plum, almond and spice with a fruit forward, food friendly and easy going palate. This may be your new go to dinner wine! 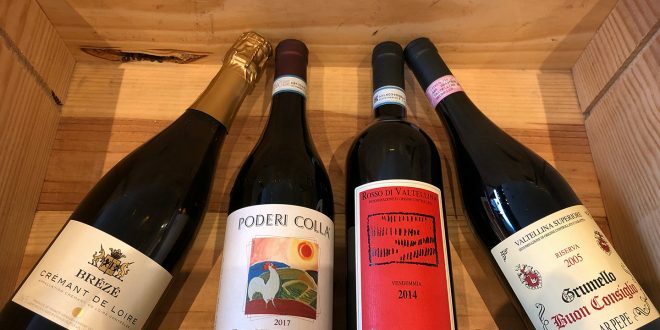 Arturo Pelizzatti Perego, also known as ArPePe, is made up of a family of winegrowers for over 150 years passionate about making beautiful Nebbiolo wines from the alps. The Valtellina valley runs parallel to the mountains and enjoys a unique microclimate. The Grumello Riserva Buon Consiglio grapes come from a vineyard planted over 1,200 feet above sea level. The wine offers notes of cherry with a velvety smooth and dry palate. The Rosso di Valtellina was first produced in 2003, this wine is extremely approachable and versatile. It has gentle floral notes, which lead to a fresh, fruity and harmonious taste. Thursday, December 6, 2018 from 5pm to 8pm.